This project facilitated the temporary relocation of the Seanad from Leinster House to the National Museum. 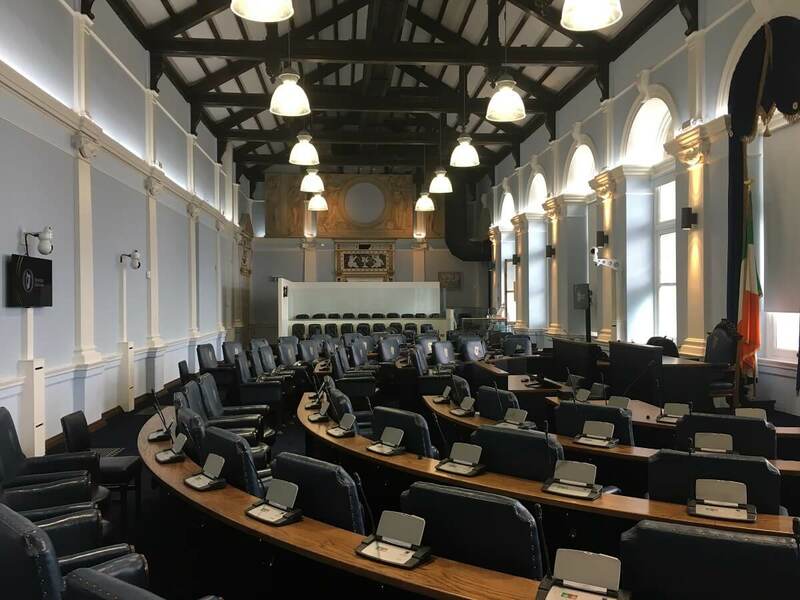 The works consisted of the internal refurbishment and fit-out of the Ceramics and Japanese Rooms within the National Museum to re-create the layout of the existing Seanad Chamber and forming connections between Leinster House and the relocated Seanad. In addition to the relocation of the Seanad, the works also included the installation of a passenger lift to provide disability access for the public and members of the Seanad from Leinster House to the National Museum, and the relocation of the Ushers Facility to the Basement of Leinster House. 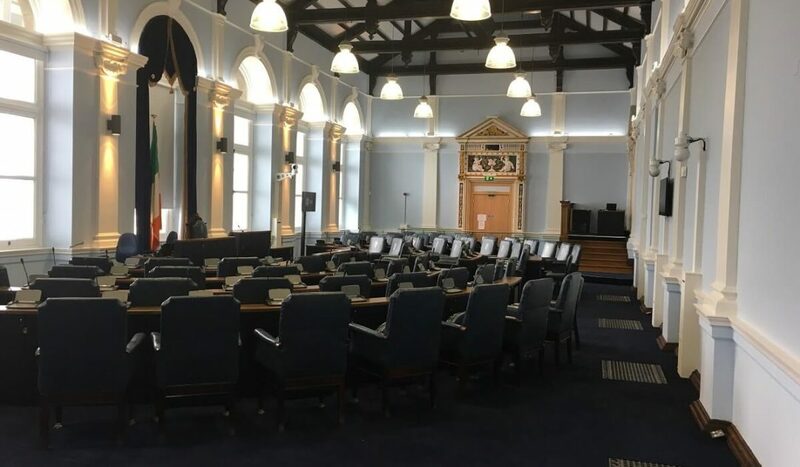 The works involved forming openings within a protected structure, protection of existing finishes and historic doors, and a complete services installation to provide for the normal operation of the temporary Seanad Eireann. 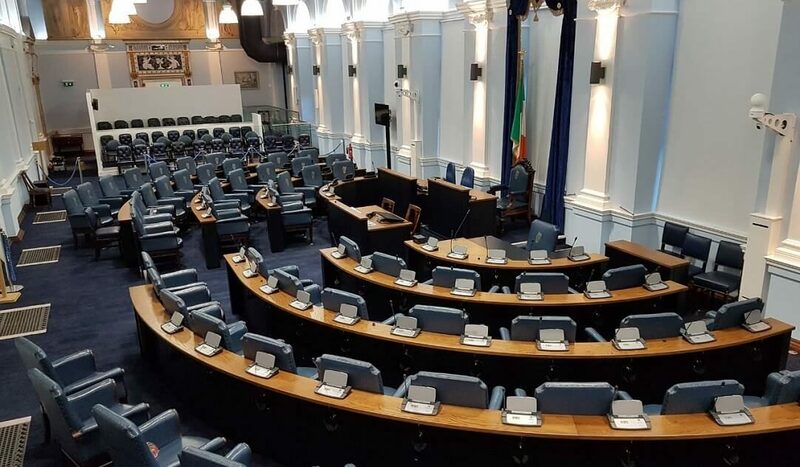 A complete fit out of the new Ushers Facility in the Basement within Leinster House was also undertaken. The works were carried out in a live building that was fully operational at the time of the construction works. A large portion of the works were carried out outside of normal working hours to accommodate the daily operations of Leinster House and The National Museum.